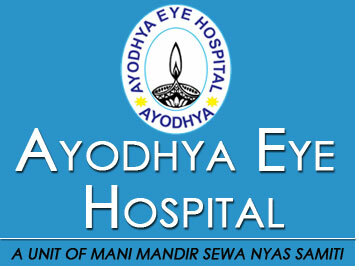 The Ayodhya Eye Hospital was started under the patronage of Mani Mandir Sewa Nyas Samiti and support of Sight savers International, UK in 2002. It started as a sixteen bedded Eye clinic with almost 10 staffs including an Ophthalmologist. At present it has grown to a 50 bedded hospital with more than 100 staffs including 10 Ophthalmologist & performs around 14 to 15 thousand surgeries per year, of them almost 52% are free. Still there is need for expansion of services facility & service area. The hospital has Hospital MIS & has developed a large database of patients. This helps in data analysis as well as midterm course correction & future planning. The activities are regularly audited by the internal audit committee of the hospital. In addition, external audit by Sight savers team is done from time to time, in order to make course corrections and deviations in the program. The audit assessments cover clinical and non-clinical protocols as per international eye care standards to ensure high quality of services.